Video Compression is the technique to compress video size of your videos. With this technique you can easily reduce the size of your videos. In this tutorial we show How You convert big videos files into small size without losing quality. But First you need to know Why your video file size is bigger. If you reduce above points you automatically reduce your video file size. You can reduce your video file size from Any video converter. Any video converter is one of the best video converter for Windows PC. 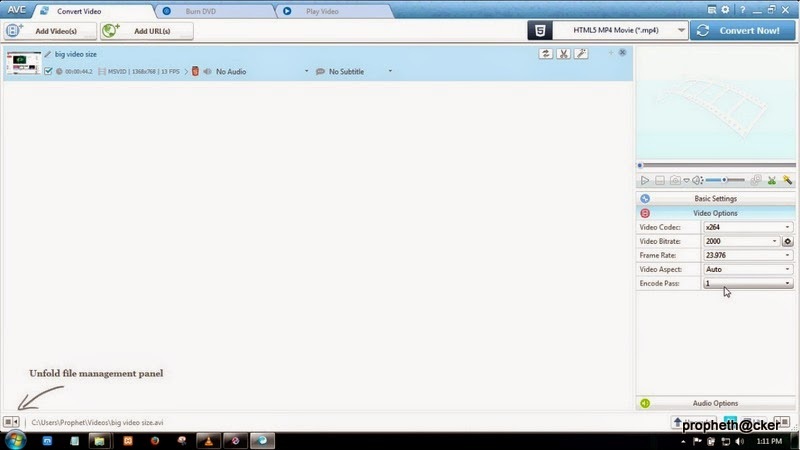 With this software you can easily convert all type of videos in any format. Download and install Any Video Converter from Official Website. Open or Drag the video file. 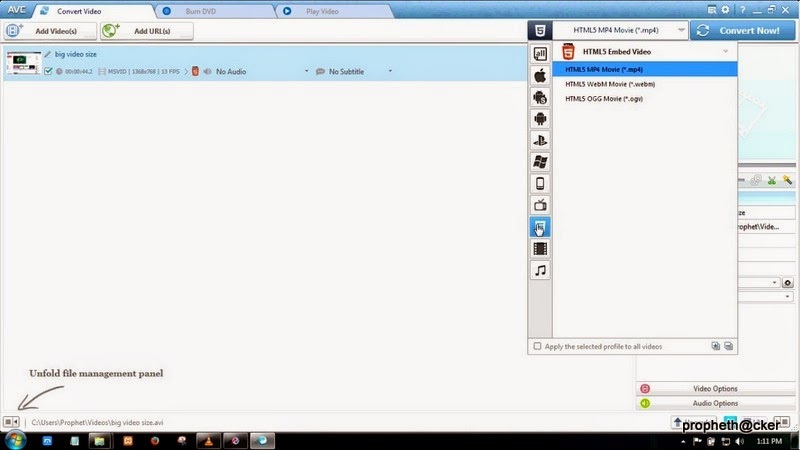 Choose HTML 5 .mp4 or any format whatever you want. Now Right side click on Video Options. Set Frame Rate to 23 and Video Bitrate to 2000. Click on Convert Now and your video will be converted. 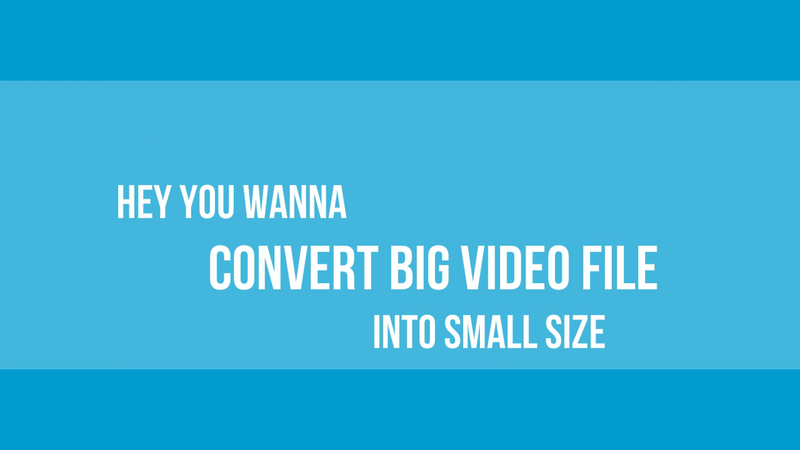 Now with this process you can easily convert your big size video into small size. Now you can easily convert big video files for your android mobile. 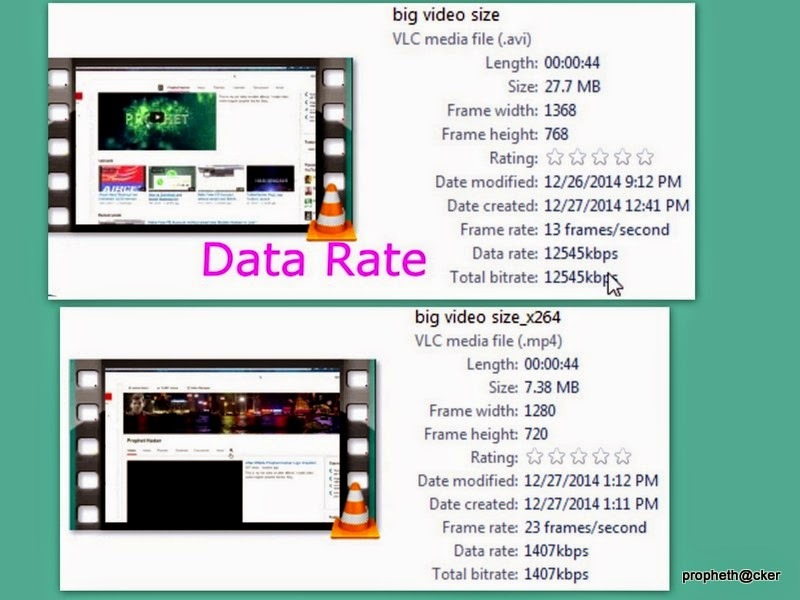 In this photo you see difference between video data rate and size of video. If you want more see below youtube video. hopefully How to Convert Big Video File into Small Size with Any Video Converter information can provide benefits for you in determining the gadgets that fit your needs in daily life. 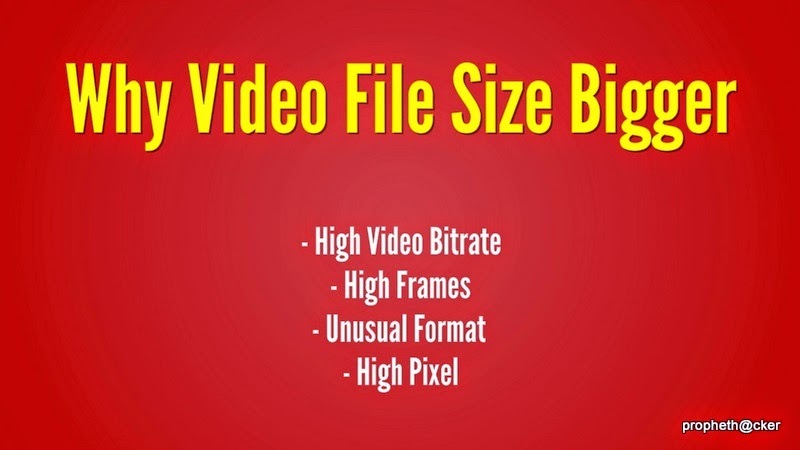 you just read How to Convert Big Video File into Small Size with Any Video Converter if you feel this information is useful and want to bookmark or share it please use link https://innaz2.blogspot.com/2014/12/how-to-convert-big-video-file-into.html if you want more information please search on other pages this blog.